« Do You Use Mobile Wine Apps? For our latest 1WineDude.com interview, I’m tasked with the difficult job of introducing someone who requires no introduction (at least, not when it comes to the world of fine wine). 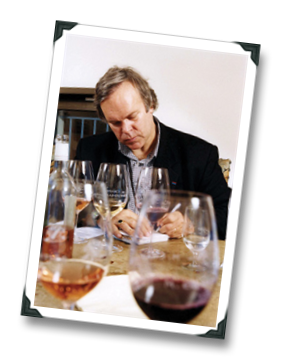 Today’s interview guest, Robert Parker, is arguably the most famous wine critic on the planet; what is beyond argument is that he is the most influential wine critic on the planet – his scores are capable of sending a wine’s market value into the stratosphere. 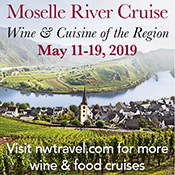 He is the founder of the consumer wine review publication The Wine Advocate, which, not unlike a blog, began as a self-published journal – it now has tens of thousands of subscribers in dozens of countries. Parker is widely regarded as one of the world’s leading authorities on the wines of Bordeaux, and his ability to taste (and recall past tastings of) wines is the stuff of legend. Parker’s influence and fame at times makes him a polarizing figure (you knew this part was coming, right?). He established the “love-it-or-loathe-it” 100-point wine scoring review scale. His preference for wines with bold, fruit-forward profiles has, some have argued, divided the wine world into fractions of those who religiously follow Parker’s palate, and those who religiously avoid it. The divisive effects of his influence have been chronicled in both books and in film. 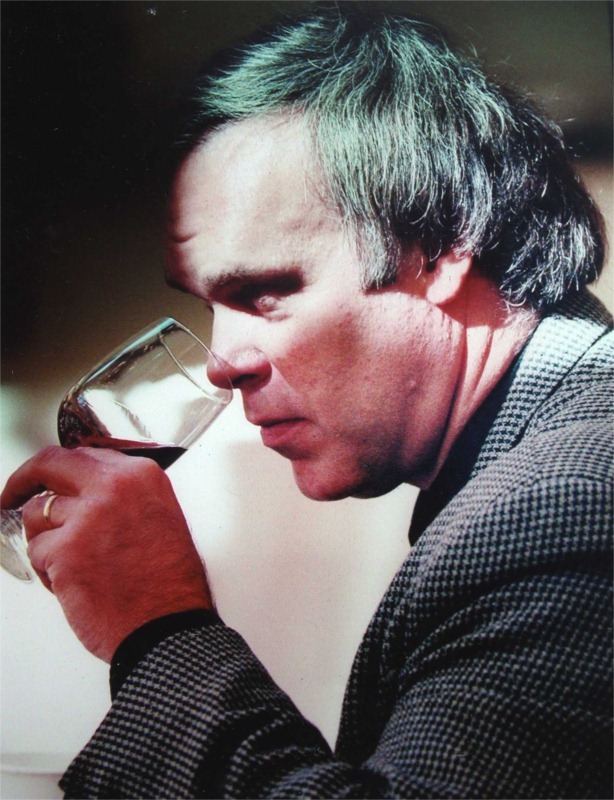 He has been described as a great equalizer of wine, liberating it from an era of poor quality offerings pushed onto the market at unfairly high prices; he has also been vilified as creating a market of “international style” wines crafted by winemakers attempting to solicit high scores from his reviews, at the expense of regional uniqueness and a sense of place in their wines. As the Wayne’s World guys might put it – As if! Below, you will find a fairly intimate glimpse into Mr. Parker’s views on wine blogging, Bordeaux en primeur prices, my friends Gary Vaynerchuk and Tyler Colman, the booming Asian wine consumer market, the Big Lebowski (yes, seriously), and his own influence and professional legacy. 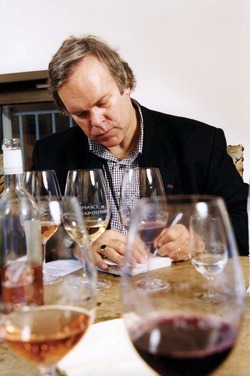 It is very likely a side of Robert Parker that few in the on-line wine world have yet seen. I’m grateful to Mr. Parker for taking the time and opportunity for what might be his first-ever wine blog interview. I’m equally grateful to Jeff Lefevere of GoodGrape.com, who acted as contributing editor on the interview questions. 1) 1WineDude: Your place in the history of wine criticism and journalism seems, by any reasonable measure, as secure as those of Andre Simon and Hugh Johnson. However, pockets of the online wine community have viewed you as a polarizing figure (e.g., last year, Tyler Colman made inquiries into policies at The Wine Advocate, which some viewed as investigative journalism while others considered it a grandstanding move, as much about polishing his own star as it was about investigating TWA; Alice Feiring – also now a blog writer – gained media attention based in part on the provocative title of her recent book, “The Battle for Wine and Love: or How I Saved the World from Parkerization”). Why did you agree to take this interview, which is primarily going out to that on-line audience? 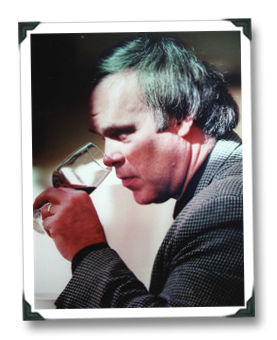 Robert M. Parker, Jr.: In many ways, I may have been the first wine blogger when I was the wine authority for the old Prodigy wine board that was way ahead of its time, even though it eventually went defunct. In addition, the www.eRobertParker.com site started over nine years ago and has obviously been a very popular site. We could have moved faster given the extraordinary speed of on-line blogging and social networking, but we moved very authoritatively, and we’re happy with the results of our site. I also began Tweeting a few months back as somewhat of a social experiment. I believe all of these tools can help engage wine consumers and provide reliable information. 2) 1WD: You’re widely regarded as the most recognizable and influential wine critic in the world. There’s potentially an immense amount of pressure one could feel under those circumstances, knowing that your opinion might make or break a vintage or a brand. Has that influence changed how you approach wine reviews over the years? How do you address and deal with that pressure on a regular basis? RMP: The reality is that no matter how influential you are in the wine field, you really can’t break a vintage or a brand. However, you can certainly “make” a vintage or a brand. Most people tend to see wine as I do, with a “glass half full” philosophy, so positive comments generally outweigh negative ones as people are looking to buy good wine and good wine values. Of course, you can’t shy away from criticism, but to tell you the truth, I have never actually felt the pressure. Perhaps living in the boondocks of rural Maryland keeps me away from wine colleagues and people who are constantly raising this question. Around here, no one knows who I am, and I like it like that. 3) 1WD: Many online wine writers feel that there exists an ethics/honor code to which a writer must adhere in terms of carrying on the tradition of fine wine writing. However, there isn’t much of a clearly visible mentoring tradition between generations of wine writers. Who did you look to for inspiration when you were getting started? Do you think there would be more hierarchical respect accorded if there was a tradition to pass down? RMP: Ralph Nader was unquestionably my mentor in terms of ethics and conflicts of interest. I was also in law school during the Nixon scandal and the subsequent Watergate hearings. In fact, my ethics professor in law school was no other than Sam Dash, who was heavily involved in those proceedings. The decision I made 32 years ago never to take advertising continues to exist, not only for the print edition but also for the web site. This decision is philosophically cast in stone. I still purchase many wines in order to corroborate the tasting notes with those from samples that were sent to the office as well as from barrel tastings and in-the-bottle tastings at wineries and in viticultural regions. I think everyone in the wine world has to decide what position they take on this. I have been very fortunate to have been so successful that I am able to afford to be extremely independent, and not accept advertising. However, I realize everybody may not be able to do this, but I think it is important to be as independent of the wine trade as possible, be pro-consumer, and, if you are taking any freebies, be transparent about it. RMP: With respect to Bordeaux, future prices have certainly gotten out of control. There was a real incentive to buy futures in a top vintage when I started 32 years ago because the prices were low, and if you bought the right wines, they obviously appreciated in value. The advantage of buying them early was not only that you would save money, but you would have some great wines to drink when they matured. The Bordelais have increasingly raised prices for their most prestigious estates. Except for the top wines of the great vintages, they really don’t appreciate much in price, so there is no point in buying them as futures and tying up your money two years prior to delivery. Moreover, the potential for bankruptcies for retailers or futures brokers has resulted in considerable risks for these unsecured contracts if you’re not dealing with someone who has delivered in the past, and has a sound financial foundation. This is even more critical during a period of worldwide recession as well as with a vintage like 2009, which is a great vintage. But remember, the wines will not be delivered until 2011, and a lot can happen during the interim. The x factor is the booming Asian economies such as South Korea, Singapore, and China. They will be purchasing 2009 Bordeaux futures. We are also seeing the deterioration of the euro, so perhaps the American dollar will have more strength in terms of consumers buying 2009 Bordeaux futures. Certainly the vintage merits interest from a qualitative standpoint, but if the prices are too high, it seems to me the best advice is to remember there will be another great vintage, usually sooner rather than later. In addition, there are a lot of cherries out there to be picked from previous vintages. The 2008s are very underrated, especially in Pomerol and St. Emilion as well as selected properties in the Médoc. Moreover, they are dramatically less expensive. The 2007s are being given away as it is a mediocre vintage. The 2006s can be good, the 2005s were overpriced from the beginning, although it is a top vintage. Knowledge is very important, and that can play into the strength of picking the best Bordeaux from any of these vintages. 5) 1WD: It’s been said that you were the very first “wine blogger” before the advent of blogging – a passionate enthusiast who came from another career to start The Wine Advocate. At that time, you had access to inexpensive printing but not the ease of creating a web site and the extremely low barriers of entry that exist today as a result, but many see a strong similarity nonetheless. Is that a fair statement? Do you agree? Are you a “Godfather” of the blogging trend we’re seeing now with online wine writers? RMP: I think I was the first serious wine blogger, although I have never heard the expression “godfather of the wine blogging.” This segues into your 6th question, and that is that good wine bloggers – those who are responsible, feel accountable to their readers, and avoid distortion, factual misrepresentation, grandstanding and polarizing comments found among bad bloggers – should and will succeed. People are looking for balanced commentary. I believe good wine bloggers are here to stay, and provide enduring contributions to wine education and appreciation. 6) 1WD: In the past, you’ve been critical of wine bloggers in The Wine Advocate, but you’ve also cited (in the eRobertParker.com forums) certain blogs (like Vinography.com) for individual praise. Has your view on the relevance and quality of wine blogs evolved since then? Where do you see their place now in terms of covering the topic of wine and wine reviews? RMP: This is a variation on question 5. I have been very critical of irresponsible wine bloggers who shoot from the hip, don’t check their facts, and are clearly trying to exploit my name or someone else’s name for their self-promotion. There are many, many good wine bloggers (such as Vinography, which you cited in your question). I think wine blogs will continue to exist because many wineries see them as a way of inexpensively promoting their brand by participating and perhaps lending a few ads to the sites that accept them. Secondly, I think conscientious wine bloggers have a chance of becoming bigger and bigger, drawing a larger audience, and being gratified by their success in the number of people they reach. They are certainly not going away, and even the worst of them may hang around longer than they deserve because of our low brow culture that feeds on scandal, controversy, and polarization irrespective of any merit to these issues. 7) 1WD: The eRobertParker.com forums have been quite active for a long time, but recently moved to a subscription-only access model. There also seems to be a general lack of presence of The Wine Advocate brand in social media (Facebook, etc.). The perception and criticism from this among some in the online wine community is that you may not feel that social media or direct interaction with wine consumers is important. How would you respond to that? RMP: We had been thinking about moving to a subscription only access model for our Bulletin Board for several years. We wanted to focus our limited budget on subscribers. The general Wine Talk forum was a success, but there were non-subscribers who, rather than discussing wine, seemed to primarily be interested in polarizing the views of participants. We have been very happy with our move. Our e-mails ran seven to one in favor of making it subscriber only. The subscribers seemed to appreciate it, even though we lost some very good non-subscriber content, we also eliminated all the jerks and troublemakers who didn’t care about wine, but simply wanted to divide people’s tastes into convenient black and white boxes. Perhaps we have been slow in adapting to the on-line wine community, but we have an i-Phone application in Japan which has done quite well, and two others are being launched in Korea and the United States. I think the fact that the average age of The Wine Advocate writers is well over 35 probably has something to do with the slowness with which we’ve utilized on-line opportunities, but we have certainly done so. As I mentioned before, the eRobertParker.com site has been up for over nine years, I’ve started Tweeting, and some of the other writers are involved with Facebook as well as Twitter, so I think we’re moving in that direction. But, some of the criticism for this rather lethargic response is justified. 8) 1WD: Many in the online wine community felt that Gary Vaynerchuk filming an episode of his WineLibraryTV and essentially talking over you during the Wine Futures Tasting in Rioja (http://tinyurl.com/ylmt45g) typified the disrespect that some veterans of wine criticism feel about the younger generation of wine writers / content creators. Do you think we’re more likely to see a ban on communication at these events, a more strident enforcement of decorum, or something else? RMP: I am a huge fan of Gary Vaynerchuk. I don’t watch many of his Wine Library T.V. episodes, but I met him at a tasting in Rioja, and I did see a video he did as I was leading a tasting. I never thought of it as disrespect. Gary is the best at self-promotion, and obviously he puts his interest ahead of anyone else’s, which is totally normal. Now that you brought it up, I suppose there is an element of trying to exploit that event for his personal gain, but it didn’t bother me. As I recall, he was sitting in the third or fourth row with a small video camera. I thought it was an opportunity for people to get his comments on things. He is a compelling communicator and is wonderful at explaining the advantages of self-motivation and social networking. Does he overdo it? No doubt, but I find him to be a breath of fresh air. As long as you realize that Gary always comes first, and that he is selling wine, he is a valuable addition to the global wine community. 9) 1WD: You’re planning some significant events in Asia in the near future. Is that a response to the increase in importance and volume of the Asian wine consumption market? Do you see Asia as the “next big thing” in terms of fine wine sales? RMP: I have been going to Asia since 1998 (in fact, I called it the Asian Strategy back then). My daughter is adopted from Korea, so perhaps I have sentimental reasons for pursuing interests in that country. I have had very successful events in four Asian cities (Shanghai, Beijing, Hong Kong, and Seoul), as well as in Singapore and Japan. The Asians are very open-minded, which I love, and seem to accept many diverse wine styles far easier than many wine enthusiasts, sommeliers, and wine bloggers. I think that’s admirable. They can appreciate a big fruit bomb from South Australia as easily as an elegant Bordeaux or complex Barolo or Barbaresco. I love the respect they extend to me, and I’m thrilled with the recognition and success I have been fortunate to enjoy in Asia. I think any wine writer would realize that they are dying for education. Moreover, 50% or more of every wine conference I’ve conducted have been women. It seems that in some of the male chauvinistic countries such as South Korea and Japan, there is no glass ceiling for women in the wine field. Whether they are working as sommeliers, in wine shops, or selling wines, they seem to receive more respect from their male counterparts than in other fields. I find this to be refreshing as well as encouraging. Wine consumption is real in Asia, and it will only grow. 10) 1WD: Willie Mays didn’t do it, Michael Jordan couldn’t do it. Cal Ripken, Jr. did do it. Any consideration to “quitting at the top of your game?” How would you like to be remembered in terms of your legacy in the world of fine wine, if/when you do retire from it? RMP: I have been blessed with extraordinary success, and I could have stopped working many years ago. If I ever felt that I had lost my passion or enthusiasm for wine, or that my abilities had declined, I would stop in a heartbeat. The one thing that separates me from just about everybody else in the wine world is hard work. Yes, I have plenty of talent, but so do many of my colleagues. However, no one has ever worked as hard or as comprehensively as I have. This might also explain the success for athletes such as Michael Jordan (a person who was well-known for spending more time on the practice court than anybody else) and Cal Ripken (a person who constantly worked at his game). Legacy is nice from a spectator point of view, but it is something I never think about. From the day I started tasting and reviewing wine in 1978, until today, I have always tried to do the best job I could, I write exactly what I believe, I am not beholden to anybody, and I sleep very well because of that. That will never change. Great questions that derived great responses. It's always good to get a sense of the personality behind the work. Kudos to you for a well-played interview, and kudos to him for taking the time to give us insight into his career and his "blobbing." Joe – Thanks for this post. I'm curious; who are the "others" who thought Tyler was grandstanding? His work was incisive and was generally received as such. Did I miss something? The fact is, there are many, many serious and legitimate questions for RP regarding his practice, his standards, and the people he chooses to employ. He dismisses those who question as "jerks" who seek to polarize. I'd have loved to see you press him further on those issues. And his loyalty to Mark Squires, who squashes any legitimate dissent, is more than a tad troubling. Thanks, Evan – I'm not an investigative reporter and I figured that this interview raised the points, but the purpose wasn't to press it (if it had been live on video, then maybe a different story). I think in the eRP forums (unfortunately not free access now) you can find those who viewed Tyler's article as grandstanding (that isn't my view – I'm just trying to reflect both sides of the argument here). Cheers! Ah, gotcha. I was just say: No need for equivalence in the case of Tyler's work. I think the strong majority of readers, wine community folks, etc viewed his work as fair and worthy of a response from RP. Nice work getting RP to chat with you. That's a serious feat, indeed, and one that indicates how much esteem you've earned. Cheers. Thanks so much for posting this interview. I found Mr. Parker's views on the roles of Asian women in wine interesting — something that will compel me to do a little research on my own. And isn't that much of what good wine discussions are about? Engaging, perhaps dissenting, but ultimately about exploration? I thought I felt the earth shake this morning. Great interview, Joe. Hi all – correction: this is NOT the first wine blog interview with Robert Parker, that distinction probably goes to my friends at Catavino.net when Parker visited Spain back in January: http://catavino.net/wine/a-brief-interview-with-r… (great interview there, btw). Dude! Nice job on the interview, loved reading it. BUT, where is the mandatory question about RUSH!? Dale – HA!!!! Didn't even consider it…. damn…! It seems from his answers, that you submitted questions to him up-front… Is that the case? If you did give him the questions first, was it a requirement for the interview? Hi Jim – First, before sending any questions we agreed that I would reprint his responses unedited and in their entirety. Next I sent him the questions via email and he answered them. It wasn't live, but he did NOT see those questions prior to agreeing to the interview. It's funny. While reading I suddenly flashed on an old avocado green naugahyde couch from my university days that sat in the front room of a collective household. Stained, ripped in places, faintly off-gassing, but for all of that still serving as a place to sleep it off when all of the beds had been taken. Yes. Your irony detector is in serious need of refreshment. "Joe just small FYI I asked te organizer of the event if I could tape that tasting…." So the criticism of Gary with respect to "talking over" Parker seems even more misinformed / misguided. Nice work, my friend. Kudos. Joe, you have been elevated to a new height of coolness in my book. I won't lie, I was looking for a few juicy bombs that brought up some of Parker's oft quoted mis-speaks about bloggers, fruit bombs, the 100 pt score debate, etc. HA!, Thanks, Josh. For those looking for interesting discussion fodder, there is stuff in the responses; for example, people often accuse RMP of being in some sort of cahoots with the Bordeaux futures folks, and here he's saying the prices are out of control. Myth busted? Smooth! Being new to the wine community, I really enjoyed that interview. Congrats on landing it! Overall nice interview but really, this comment did not inflame anyone else here? With all of the hard working winemakers, Vineyard manager’s cellar and vineyard crews along with people in the field trying to sell the wines, he things he is one of the few hard working people in the industry. Tell that to the brand owner traveling 200 days out of the year trying to promote the wine they make. No doubt he works hard but maybe a slice of humble pie is in order or a clarification to say he meant in the publication or media sector. Just a thought. Thanks Phil – good point, the statement does probably require some qualification. My guess is that it was meant in terms of the fields of media / wine criticism. Great interview with some good insights (especially loved the Gary Vee comments, which seem totally fair) but I do not agree that RMP is the only one in the field of media/wine criticism to be such a hard worker. In the UK wine media world, I would start with Jancis Robinson, who works phenomenally hard, and there are a few others who would come close too, even if they have not such a loud voice as either RMP or Jancis. Nicely done. A+ for this post. A truly superb interview with passion. Bob really opened up and he always speaks the truth with dignity and knowledge. Thanks, Adam – great to have you stopping by! Hey Mark – you got any more o' that Sarsaparilla? David – you're a man of very few words today? Yea, had to get it up there. fantastic interview — I thought his comment about Vaynerchuk was spot on. Special thanks to the twitter crowd, this article is getting retweeted all over town! Felipe is my real name. fgj1013 is my Twitter handle (in case you ever want to add me as a follower). ;) Salud! It's about time that you came clean, "Felipe!" I am kidding, by the way. Great interview, it actually helped me re-evaluate my opinion of Mr. Parker. I admit to being troubled, even annoyed, by him in the past, but I've since realized that it's not Parker – it's his blind followers, who trot behind his reviews like wide-eyed puppies. Thanks, Mel. I've both defended and lambasted RMP on the virtual pages of this blog, so I understand what you mean. Cheers! +5 Parker has made great contributions to the world of wine, even if he doesn't understand burgundy, and carries an air of infallibility/ His sycophants however, and especially the clonal variety, have always made my skin crawl. Many of his detractors, like much of the British wine press, are simply jealous. Thanks, Chris – how's the book doing? Joe- congrats on a great interview. Very enjoyable questions and responses. I don't think Parker is either the villain or the ultimate authority that some make him out to be. He's a valuable, one of many, source of information with his own unique strengths and weaknesses. I found his responses fairly candid, and appreciated him doing the interview. Joe – congrats on very good interview and introduction. The questions were balanced and covered a number of topics that are probably on the minds of many wine enthusiasts (note- term used in the generic sense). Here's a modest musical tribute to you and Mr. Parker. does that mean we'll have to give the Life Achievement Original Squirrel Blog Award to Parker, not Dressler? Enjoyed the interview Joe! Wonder how the interview would have been different if it had been conducted in person, with the ability for follow-up questions? thanks, Chris – I imagine I would have pressed him on several of the responses, actually; particularly, those about the eRP forums. Joe, nice work. An interview that I can imagine many would have liked to participate in. Loved the way your questions were phrased, so hats of to you and to Jeff or whoever was in on their construction. I personally appreciated the respect that you offered to a really serious wine icon. Thanks, Adam – as I mentioned above, I have many questions about the responses but I suppose it's now to be discussed here in the comments and on other forums, etc., now. A good read, congratulations on getting a response – when I tried over a year ago for a modest piece on Reign of Terroir I got the polite brush off from his PR team (unlike Jancis, Stephen S. Michel R. & Michael B. amongst others). What with his twittering as well RMP maybe has come around to the community of the ‘net. Thanks, Karl – I appreciate it, especially coming from you guys at Reign where the interviews are always awesome! A great interview. Hope to see more like this but he's hard to get at. I don't believe know one recognises him in Maryland. Hey Tish – understood. Had to go with balance on this and wasn't making a statement on Gary, Alice, or Tyler either way. In terms of where I stand, I'm more in agreement with you than in disagreement, but the focus here was not investigative (maybe some other day?). Cheers! Thanks, Ricardo – nice shout-out for Steve H.
Very well done, all around. Really enjoyed reading that. Showed a side to the man we don't often get to see. Thank you. Interesting read. Kudos for getting such an 800lbs gorilla guest. Impressive kudos to GaryVee as well – he should get RP on his winlibrarytv, and get edgy on him over there in a blind tasting! :) Would have liked to see more of *your* analysis and opinion. Thanks, Alana – well, we probably *do* need to feature your book at some point :-). Great interview, I really admire Parker, he can keep his cool with all the swarms of wine media gnats buzzing around his head. The comparison of Parker to an 800lb gorilla (above) is apt, though I see him as the "Big Dog" and to extend the metaphor means Gary V is like an ambitious flea, ranting with his nose pressed to a magnifying glass. I hope that isn't taken as an attack on GV as he has taken this buisiness model all the way to the bank and has given all the other fleas a fun and fruitful ride on the big dog.